The aim of this study was to determine trends in incidence, treatment and survival of colorectal cancer (CRC) patients with synchronous metastases (Stage IV) in the Netherlands. This nationwide population-based study included 160,278 patients diagnosed with CRC between 1996 and 2011. 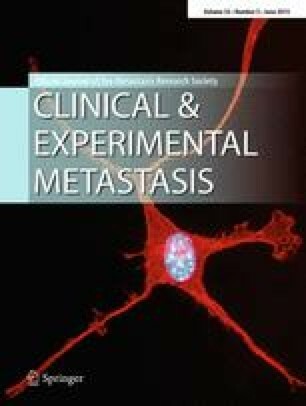 We evaluated changes in stage distribution, location of synchronous metastases and treatment in four consecutive periods, using Chi square tests for trend. Median survival in months was determined, using Kaplan–Meier analysis. The proportion of Stage IV CRC patients (n = 33,421) increased from 19 % (1996–1999) to 23 % (2008–2011, p < 0.001). This was predominantly due to a major increase in the incidence of lung metastases (1.7–5.0 % of all CRC patients). During the study period, the primary tumor was resected less often in Stage IV patients (65–46 %) and the use of systemic treatment has increased (29–60 %). Also an increase in metastasectomy was found in patients with one metastatic site, especially in patients with liver-only disease (5–18 %, p < 0.001). Median survival of all Stage IV CRC patients increased from 7 to 12 months. Especially in patients with metastases confined to the liver or lungs this improvement in survival was apparent (9–16 and 12–24 months respectively, both p < 0.001). In the last two decades, more lung metastases were detected and an increasing proportion of Stage IV CRC patients was treated with systemic therapy and/or metastasectomy. Survival of patients has significantly improved. However, the prognosis of Stage IV patients becomes increasingly diverse. The submitted material has not been published and is not under consideration for publication elsewhere. We declare there are no conflicts of interest. The manuscript has been seen and approved by all authors.